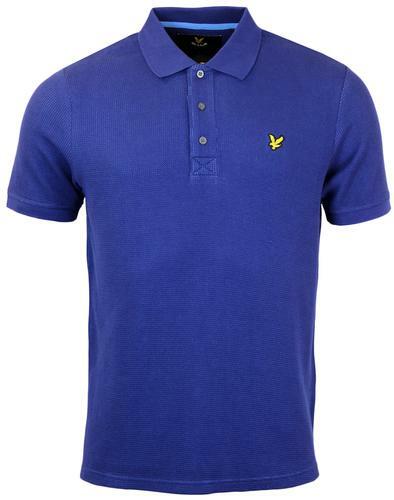 Lyle & Scott Retro Mod space dye collar pique polo. 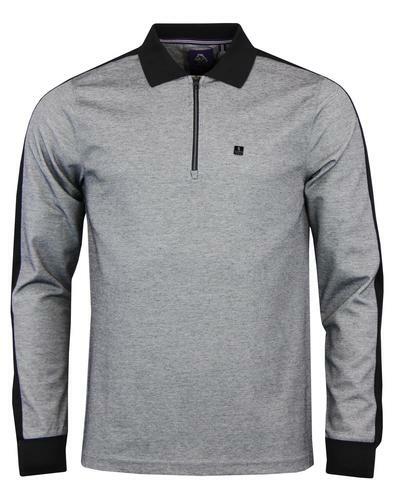 A classic Mod inspired pique polo with a fab Seventies twist with a contrast space dye collar. A cool take on the traditional Retro Mod polo finished off with the iconic Lyle & Scott Golden Eagle to chest. 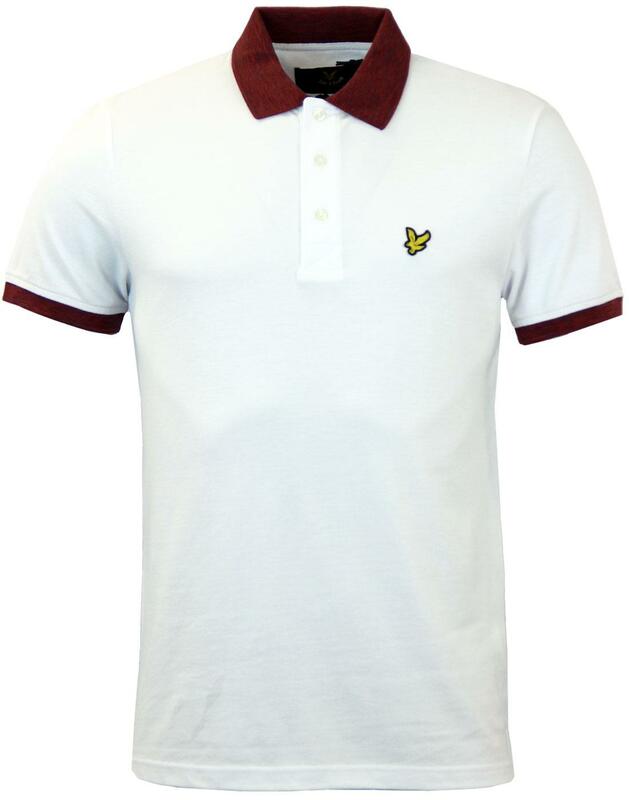 Lyle & Scott Retro Mod space dye collar pique polo in white. Short sleeve pique polo. Contrast space dye collar in burgundy which stands out on the white polo. Three button placket with tonal Lyle & Scott branded buttons. Cut aways to hem. 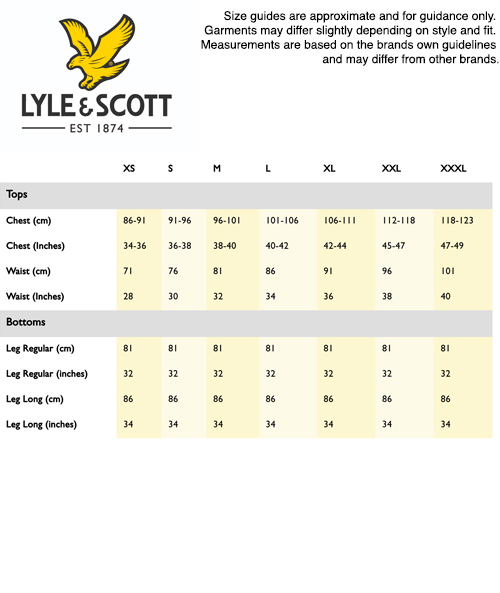 Lyle & Scott Golden Eagle emblem to chest. 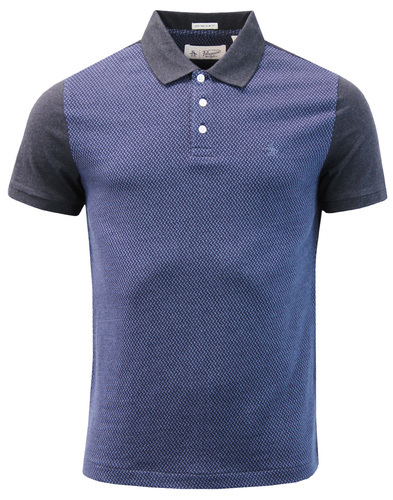 Key Points: Lyle & Scott Retro Mod space dye collar pique polo in white. XL - 42" - 44"